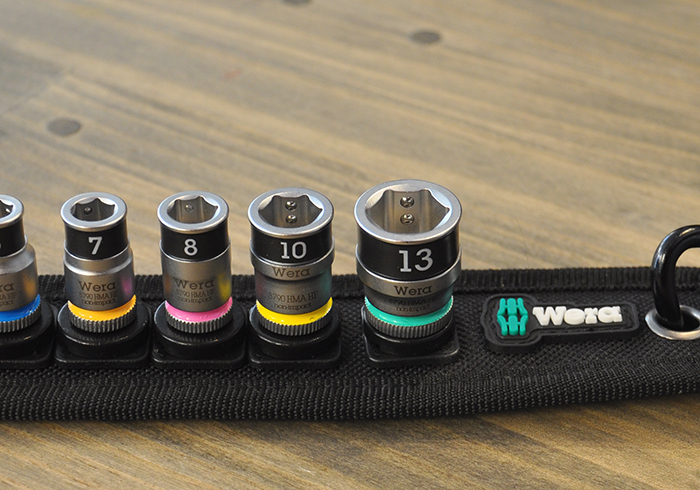 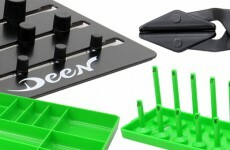 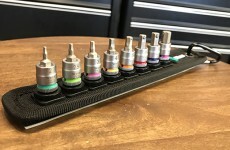 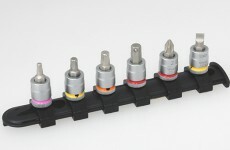 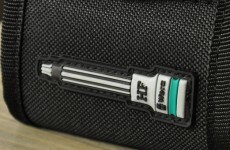 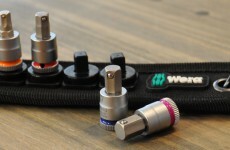 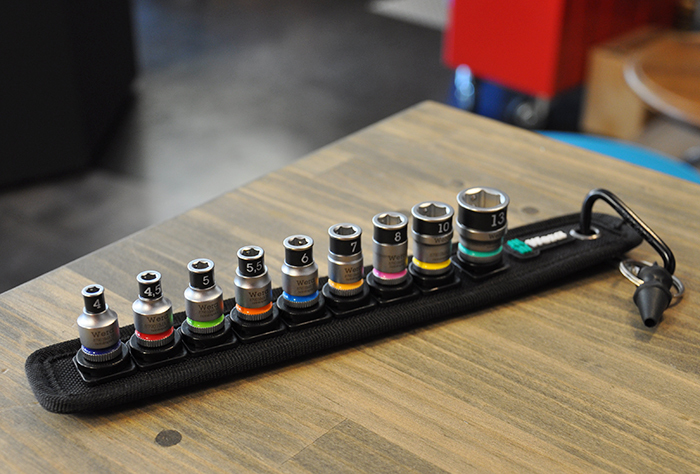 German tools company, Wera has released 1/4″ drive socket set which holds bolts/nuts. 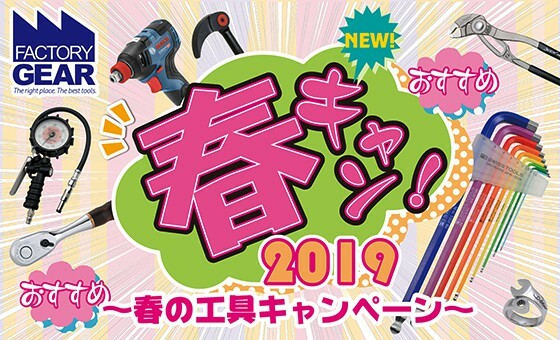 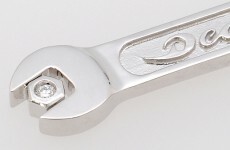 From 10mm and over, there are two holding balls on the inside of socket in order to deal with low head nuts which has been increasing recently. 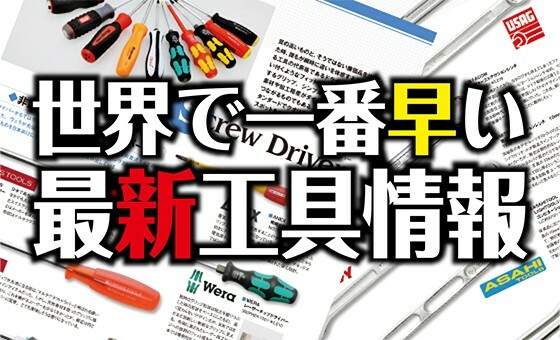 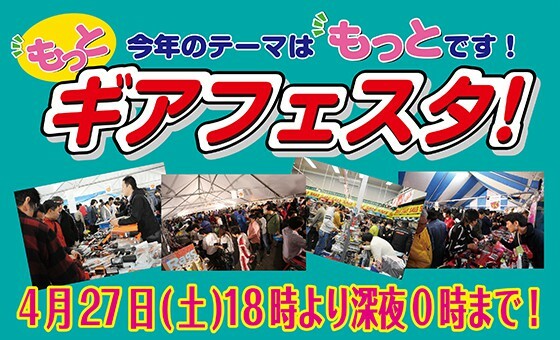 Therefore, it is able to deal with low head nuts also normal one. 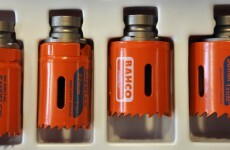 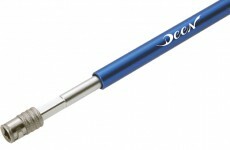 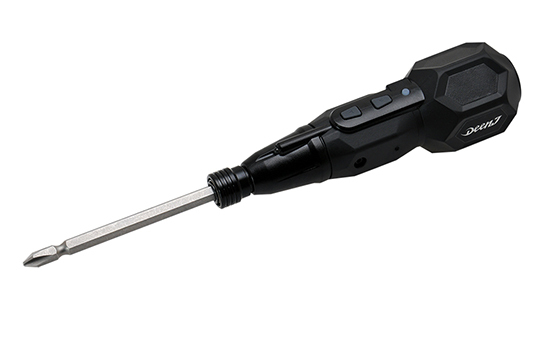 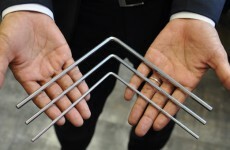 In addition, the nut extractor tool that enables hexagon nuts to be easily removed from sockets.